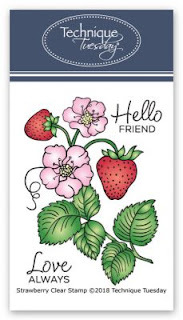 in June is this lovely Strawberries! Used water colors for the painting. Love this stamp! 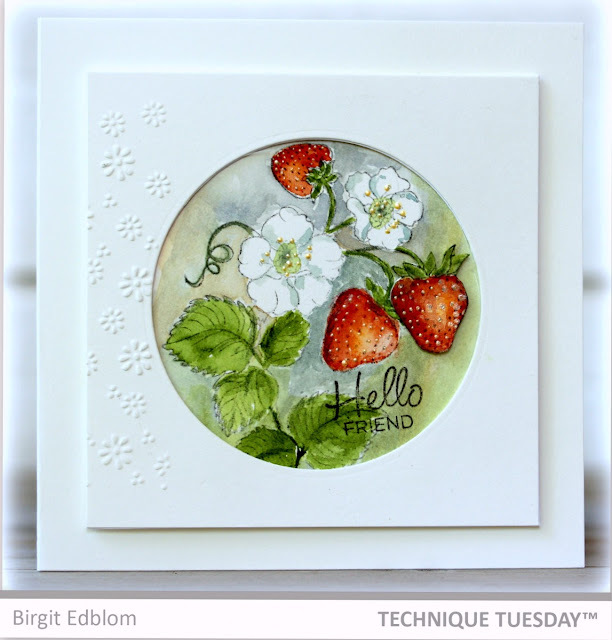 Beautifully realistic watercoloring of your strawberries, leaves and blooms, Birgit. We having been eating our strawberries for a week and looking forward to many more. But I think your strawberries in your Scandinavian countries are the very BEST..so sweet and juicy. Mmmm, making my mouth water:-) TFS your beauty, my friend. Hugs. Wow gorgeous work Birgit! After seeing your beautiful creations made with the TT Greenhouse Society Stamps each month I ultimately joined GHS! Thanks for all your inspiration Birgit....not only the GHS but also PB Stamps as well! !